Take a proactive approach to improving site safety and ensure that all near misses and incidents are recorded and actioned upon with this 6x45m station on 1m foam PVC board. Includes a suggestion box to store and display near miss tags (56688 - sold separately). Box hooks on/off the board to allow retrieval of contents via a sliding door at the rear of the box. 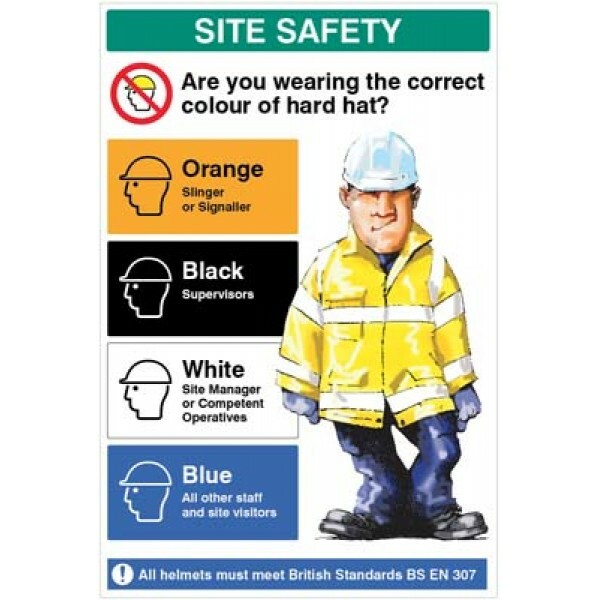 PPE safety poster with a humourous twist. If you like dogs and you like safety this is the poster for you. Printed on 11sm synthetic paper Highly durable, tear, water and grease resistantA range of co..